“My book is published! Thank you, thank you, Outskirts Press! I could not have done it without your help. The best gift for Christmas – ever! 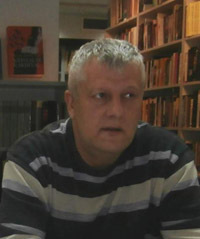 Željko Drinjak was born in 1964 in Šibenik. He is a veteran of the Croatian War of Independence. With the military rank of second lieutenant he is a reserve officer of the Croatian Armed Forces and a member of the Croatian Army Officer Corps. He lives in Njivice on the island of Krk in the Republic of Croatia. A book on the contribution of the island of Krk and its inhabitants to the Croatian War of Independence. 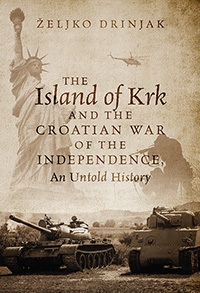 Although the title of the book may give the impression that it has a local character, the truth is exactly the opposite-the book describes the backdrop of the events that occurred on the territory of the former Yugoslavia at the end of the previous century, told through the prism of the participation of the island of Krk and its inhabitants in the Croatian uprising with the aim of defending and establishing the independent Republic of Croatia. The contents of this book respect all of the historical circumstances that preceded the Croatian War of Independence. The events of the 1990s stem from the breakup of the Austro-Hungarian Empire and the establishment of the Kingdom of Serbs, Croats and Slovenes, when the Great Serbian hegemony (which had been visible even earlier) began, up until the end of the Croatian War of Independence. Since each region has its own specificities, it was necessary to describe how the people of Krk fought different forms of Fascist ideology no less than three times in the previous century. Linking the Croatian War of Independence with anti-fascism was truly courageous, and it represents a rarity in the contemporary Croatian historiography. In a similar vein, the descriptions of religious and humanitarian activities of religious communities present on the island at the time, apart from the Catholic Church, which has been present on the island since the Late Antiquity, the descriptions of the Islamic Community, Evangelical Church, Seventh-day Adventist Church and Jehovah’s Witnesses constitute the first written texts on those communities on the island. This book is truly different from other books about the Croatian War of Independence, and it describes many of the hitherto unexplored areas. The book was written under the auspices of the highest scientific institution in the Republic of Croatia-the Croatian Academy of Sciences and Arts. All this guarantees the highest scientific, professional and moral approach to the subject matter. In the 2014 literary and journalism contest for the best book on the subject of the Croatian War of Independence, the book received special mention by the jury and won the second prize. It should be pointed out that the book has already found its place in highly respectable and world- famous libraries of educational and cultural institutions, such as Harvard University, Library of Congress, University of Illinois at Urbana-Champaign, British Library, University College London and Bayerische Staatsbibliothek.